The good ol' post-war American pop history movie is always a big gooey hit here at the PPCC. We love history, we love big picture "Oh, the humanity!" panoramas, and we are, fundamentally, made of mush. 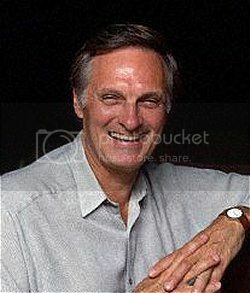 We are, also, big fans of Alan Alda (yay M*A*S*H!). Same Time Next Year is like comfort food, all warm, homey 1970s vibes. 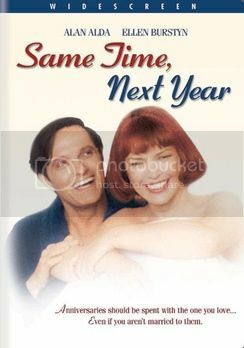 It tells the story of George (Alan Alda) and Doris (Ellen Burstyn), two American Everypeople, who meet by chance in a California seaside resort one weekend in the 1950s. Over an innocent chat in the resort's restaurant, they hit it off big time and end up in bed. Both of them also happen to be married with kids. However, thanks to their intense attraction and the fact that they both have viable excuses to be in California every year, they decide to repeat the one-night stand - same time, same place, the following year. And the one after that... and on, and on, for twenty-plus years. 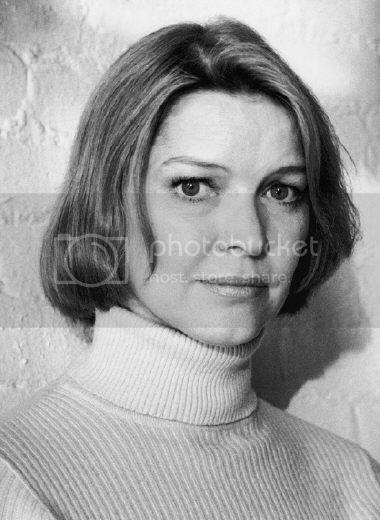 We couldn't figure out how to take screencaps from this computer's DVD software, so here's a random picture of Ellen Burstyn, who is in this film. As is Alan "OH GAWWD!" Alda. This is a pretty fabulous idea, as it allows us, the audience, to meet George and Doris at five-year intervals, as they age through the tumultuous 50s, 60s and 70s. Both their love and the world they live in are painted in broad, heavy brush strokes. We laugh with George and Doris. We cry with George and Doris. Doris becomes a hippie. George gets into Freudian psychoanalysis. Doris emancipates herself and becomes a business owner. The film's writing is snappy and irreverent, owing much to its theater pedigree (it's based on a Tony-nominated play by Bernard Slade). Alan Alda is his usual endearingly hammy, overly earnest self - he even does his signature acting move, the sobbing howl he uses to signify an emotional climax, which we will from here on dub The Alda. (As in, "OHHH GAWD! OH GAAAWD! I AM HAVING THE ALDA!"). Ellen Burstyn is a bright star - we rooted for Doris a bit more, who was complex, strong and changed the most over the course of the film. Their chemistry was also very sweet. Unfortunately, the film's niceness takes some serious blows thanks to the cheesy photo montages (SIGNIFYING A PASSAGE OF TIME BETWEEN MEETINGS, the narrative screams) overlaid by a maudlin Celine Dion-type number (not by Celine Dion). Apparently the filmmakers passed up Paul McCartney's proposed song because it contained spoilers. That... was a mistake. But everything else was great! Huzzah!